I declared to my family that we were going to eat lots of soup this year -- chili, chicken noodle, cauliflower, black bean and broccoli and cheese. I want to make them all! 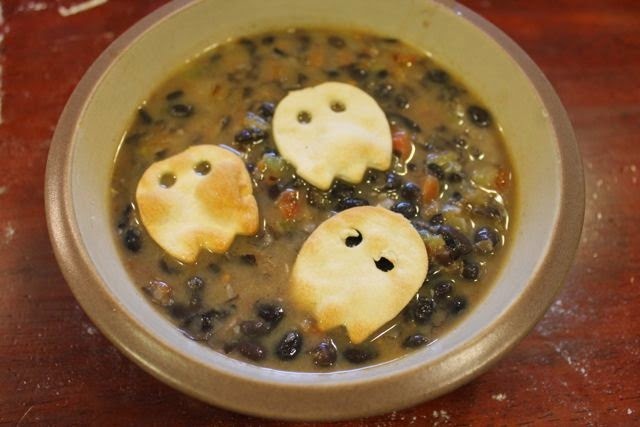 Black bean soup was the first soup on my list and being that it is almost Halloween time I wondered if I could put a seasonal twist on our recipe. 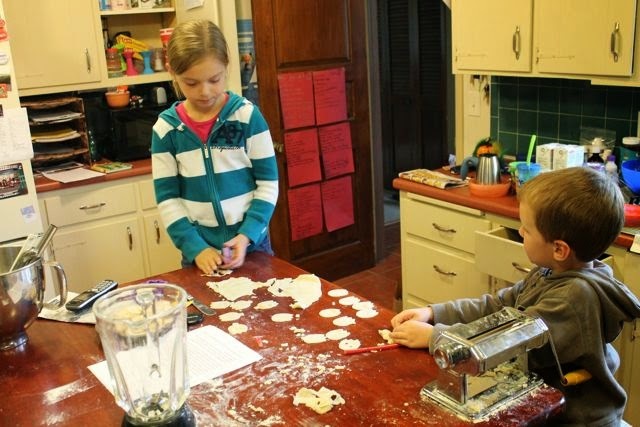 I started with our favorite quick black bean soup recipe and a new homemade cracker recipe. 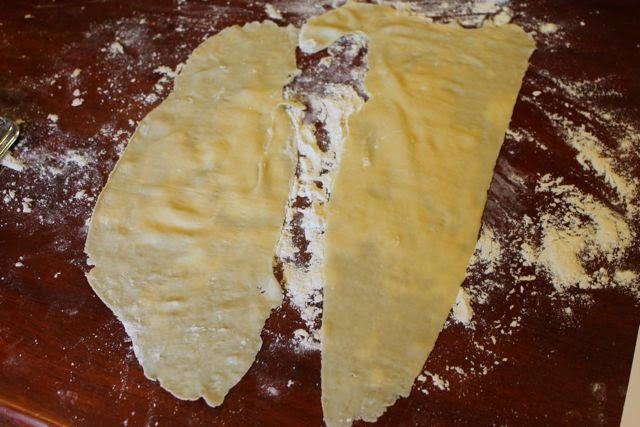 I prepared the soup and the cracker dough exactly to the recipe provided in both of the links. 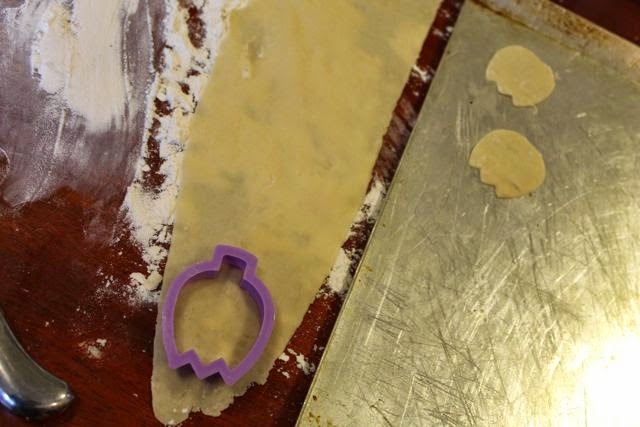 We modified the steps of the cracker recipe when it was time to roll out the dough and cut out the crackers. Check out the photos below. 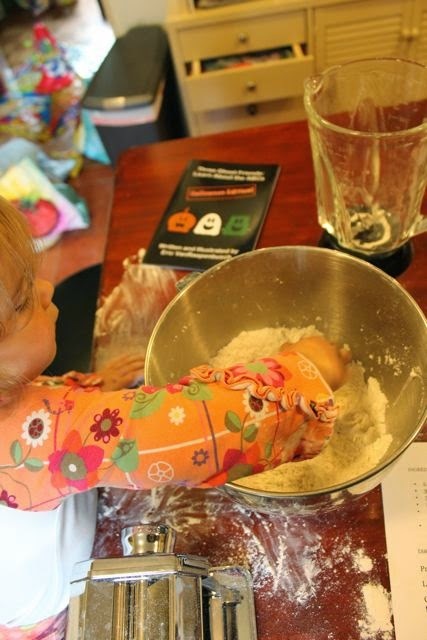 I had my little helper in the kitchen with me. She checked to make sure I did a good job cutting in the butter. 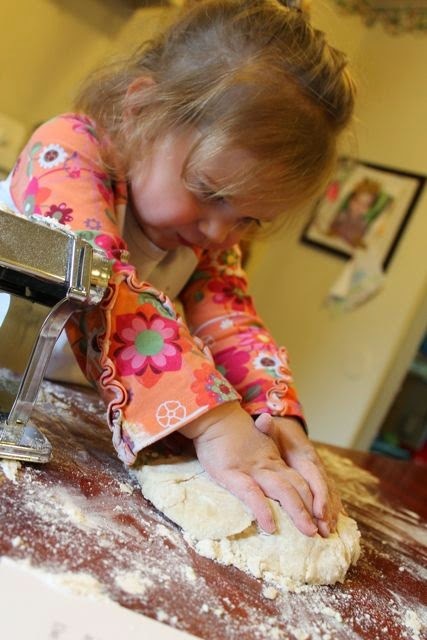 She worked really hard at kneading the dough. The dough had to rest for 10 minutes so we read my THREE GHOST FRIENDS books while we waited! 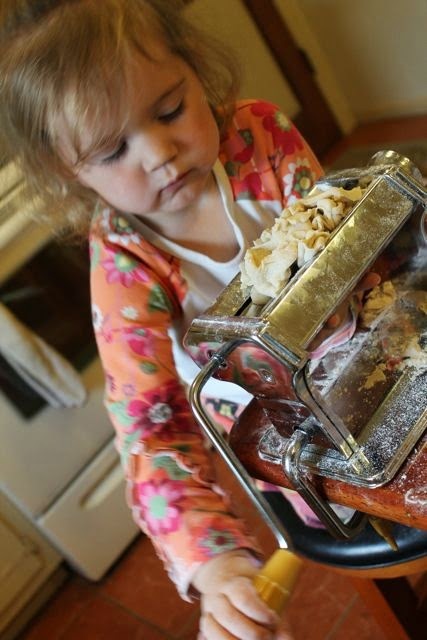 My daughter worked the pasta maker to roll out the dough. The dough was thin enough to almost see through. 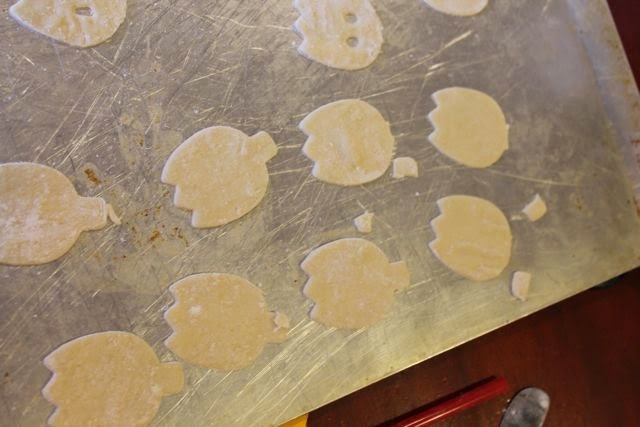 To cut out a ghost shape for the crackers I used a tulip cookie cutter. I used a knife to cut off the stem. A straw was used to cut out eyes. 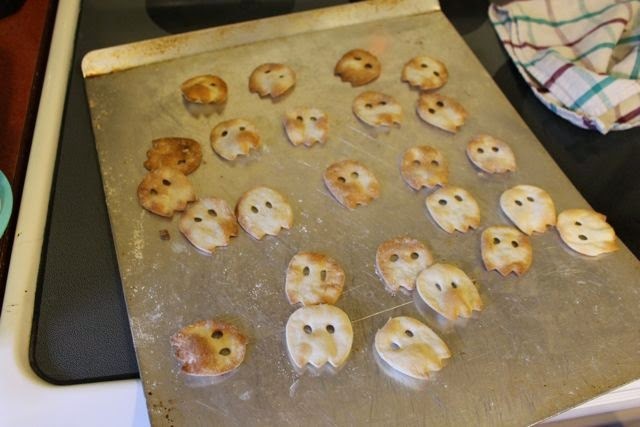 All the ghost crackers were arranged on a cookie sheet. 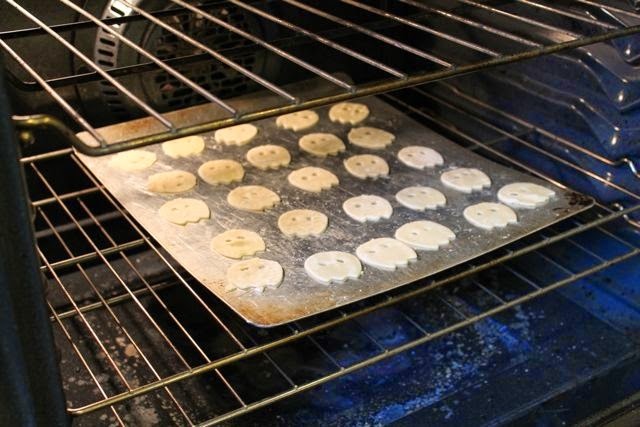 Only 6 minutes in the oven at 450 degrees was needed to fully bake the crackers. This was first batch! Yummy! My older children arrived home from school and immediately asked to join in the fun! My son got creative with his eyes. 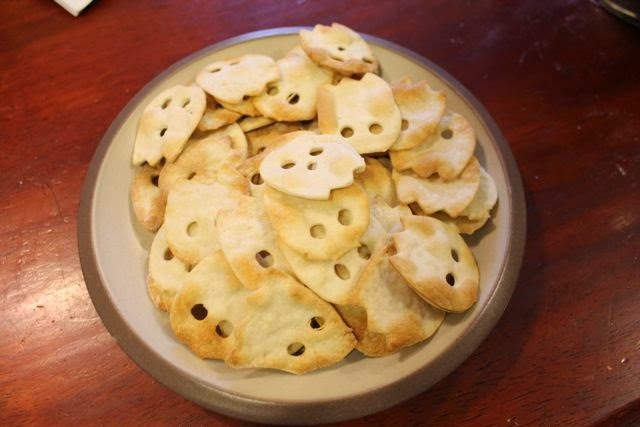 He made some ghosts with "googily eyes" and some had mouths too! 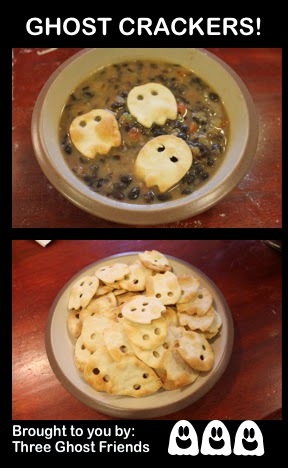 Add the ghost crackers to your favorite soup for Halloween! I didn't have a chance to count how many crackers the recipe made. My kids devoured them! 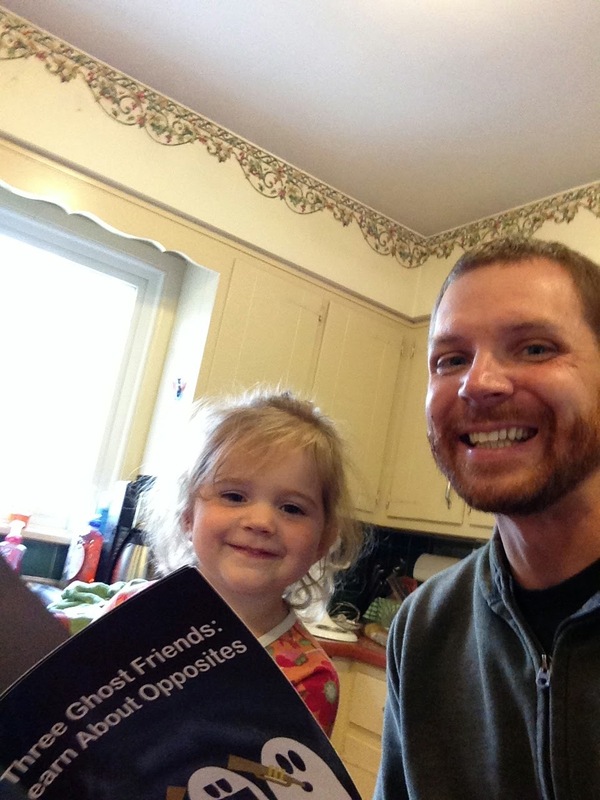 Please check out my Three Ghost Friends books for your children for Halloween time. They are perfect for children 3 - 5 years of age! Available on Amazon for Kindle and paperback versions. Also available on iTunes. 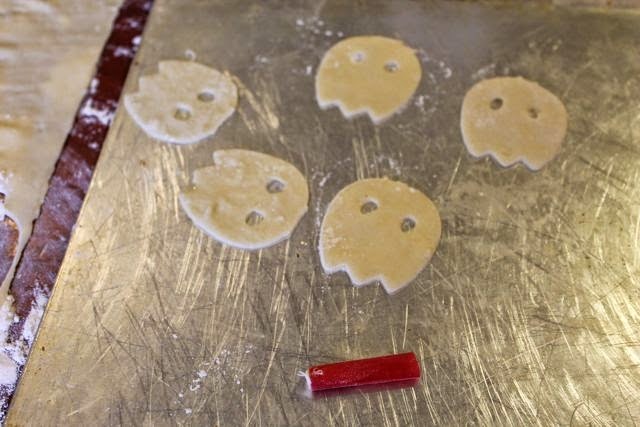 Love your fabulous post and the cute little ghost cookies. Would be honored if you would come by and share at Foodie Fridays where I am co-hosting. (startsThursday 9pm EST) Hope to see you there. 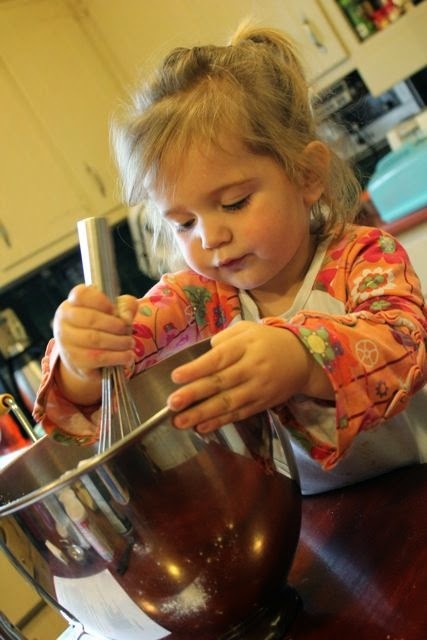 Love the photos - and the recipes! Great idea for a Halloween party - or a meal to feed hungry trick-or-treaters before they head out! 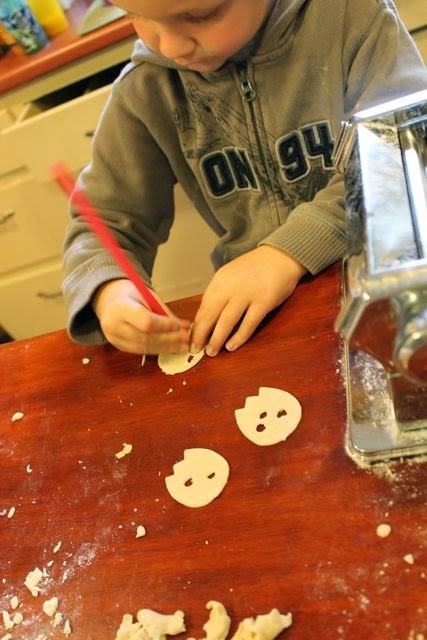 I never used my pasta roller to make crackers - great idea! So glad I found this at #FoodieFridays. So glad you stopped and shared your cute crackers. Thanks for stopping by Foodie Fridays. Hope to see you again tonight!